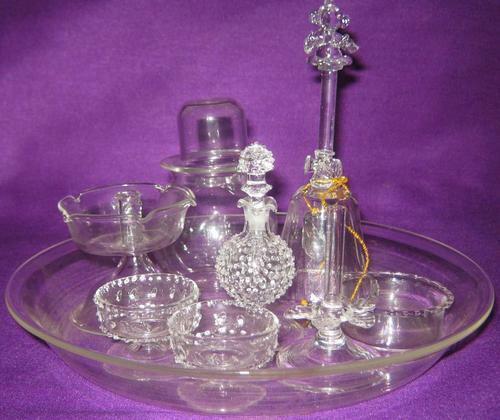 Prominent & Leading Wholesale Trader from Ahmedabad, we offer akhand deepak, akhand deeya, akhand diya, akhand deep, decorative glass articles and pooja items. We are an ISO 9001 2015, and D & B ( DUNS ) certified leading Manufacturer and Exporter of Borosilicate Glass Equipments and Scientific Apparatus . We have introduced an Akhand Deep / Akhand Deeya in our range which is a Perfect combination of GLASS and BRASS . At present, we have three different models, and more models are under development. The Oil container ( Oil Reservoir ) Capacity can be 500 ml. and 1000 ml., which can be designed to any capacity as per customer requirement. The Main advantage / Plus point of our Akhand Deep is that ONE CAN RE-FILL THE OIL RESERVOIR, WITHOUT DISTURBING THE DEEP JYOT. Which proves the Deep in real sense an AKHAND DEEP. The Transparent reservoir not only adds beauty to this Deep but it always shows level of oil, so we can judge time period of Re-filling oil container ( reservoir ). 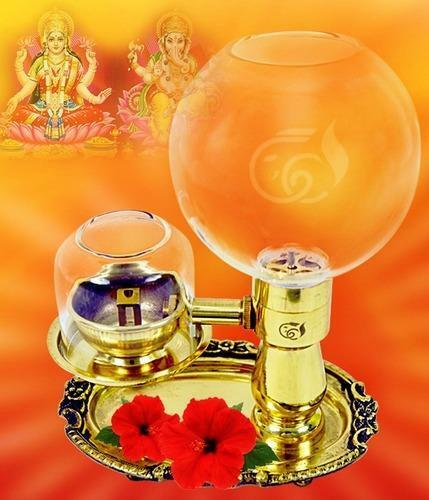 Another Plus feature of the Akhand Deep is a NON - RETURN VALVE mechanism which is fitted at the bottom of oil container, which prevents excess oil to come out from the container, and at the same time also ensures that the required flow of oil for burning the "Deep Jyot" never stops. When the Oil container is taken out of the Akhand Deep for Re-filling, Not a single Drop of oil will come out through this valve / outlet, which avoids spillage of oil and helps maintaining cleanliness of the place. The Glass Container is made of Heat resistant Borosilicate Glass, which ensures safety and transparent beauty to the Akhand Deep. We are an ISO 9001 2015 and D & B ( DUNS ) certified leading Manufacturer and Exporter of Borosilicate Glass Equipments and Scientific Apparatus . We have introduced an Akhand Deep / Akhand Deeya in our range which is a Perfect combination of GLASS and BRASS . At present, we have three different models, and more models are under development. Thus we can claim that this is real Akhand Deep - where the "Deep Jyoti" never ends ( unless you blow it out ). 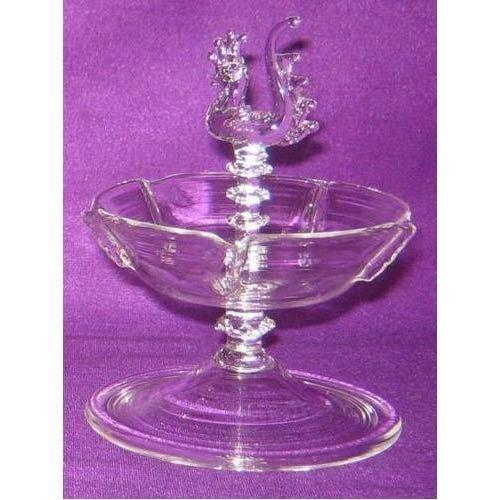 We have wide range of Glass Pooja Articles and various types of Glass Diya ( Deepak ), Spiritual Glass items and Pooja items, Made from Heat resistant Borosilicate Glass.